The 30-year old has confessed he was far from his best in the recently-concluded Ashes series. After a disappointing Ashes series, the Lions could finally overturn their woeful fortunes as they started the ODI leg on a winning note. 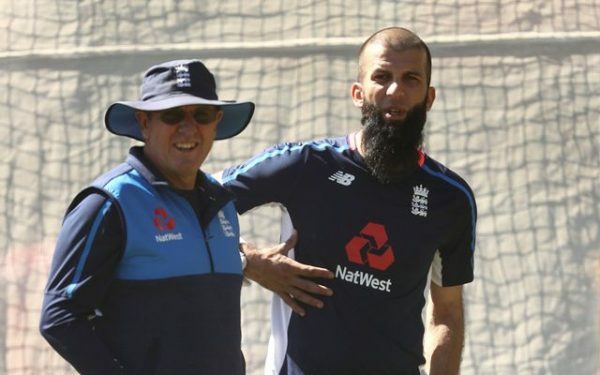 It was a warm and welcoming victory for everyone in the England camp after a month-long painful turmoil. All-rounder Mooen Ali also looked extremely upbeat with the win. Ali, who was not typically at his best during the Tests, was glad to move on from the Ashes misery. The 30-year-old featured in the ODI victory over Australia on Sunday, which followed a miserable Test series for England and Moeen personally. Moeen’s contribution, albeit was less glamorous, on an evening where more than 600 runs were scored, his 10-over stint of one for 39 made him the cheapest bowler from either side and by a distance. One promising white-ball outing is hardly likely to erase 25 days of torment in the Tests, during which he averaged 119 with his off-spin and 19.88 with the bat, but the healing has begun. Speaking about his rejuvenation, Ali said, “I feel I did not perform (in the Ashes). When you lose a bit of confidence in your own game sometimes you try harder and it can be that the harder you try the worse it gets. Moeen, like many of the current squad, has put his name forward for this month’s Indian Premier League auction. With 26 English cricketers in the mix and England and Wales Cricket Board (ECB) agreeing longer windows of availability than ever before, the upcoming edition of IPL can witness an overwhelming presence of England stars.